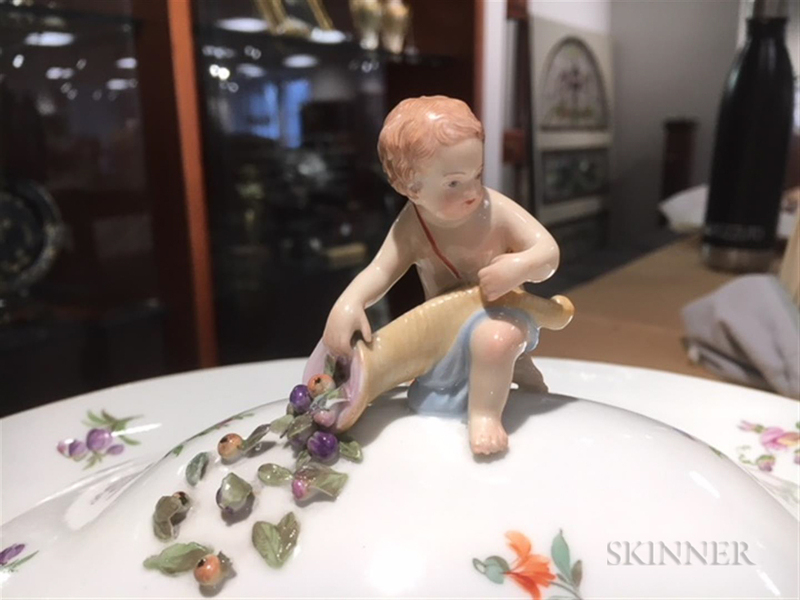 Two Meissen Porcelain Covered Dishes, Germany, 20th century, each with white ground decorated with polychrome floral sprays and gilded highlights, cover with putti figural knop, and factory marks; a sauce dish with undertray, ht. 7, wd. 10 1/2, dp. 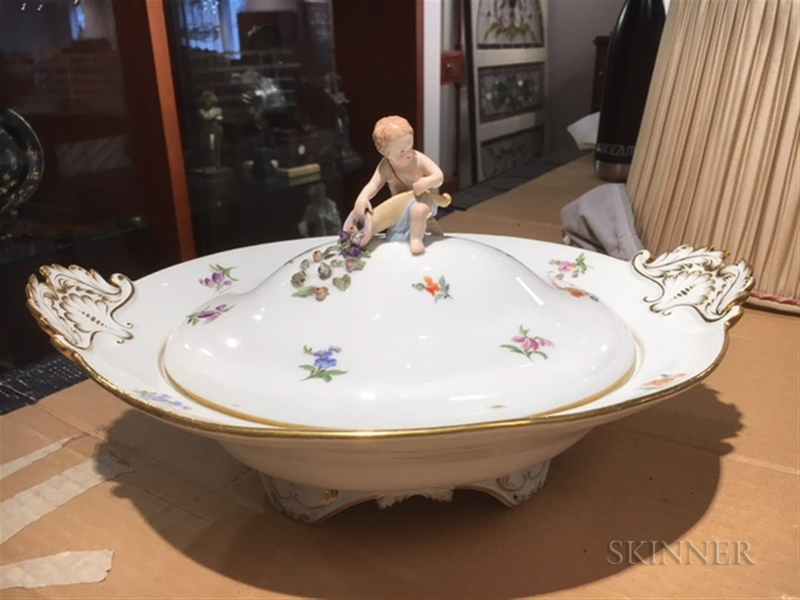 7, and a vegetable dish with foliate handles, ht. 7, wd. 13, dp. 10 in. Each with minor and typical chipping to leaves on finials. 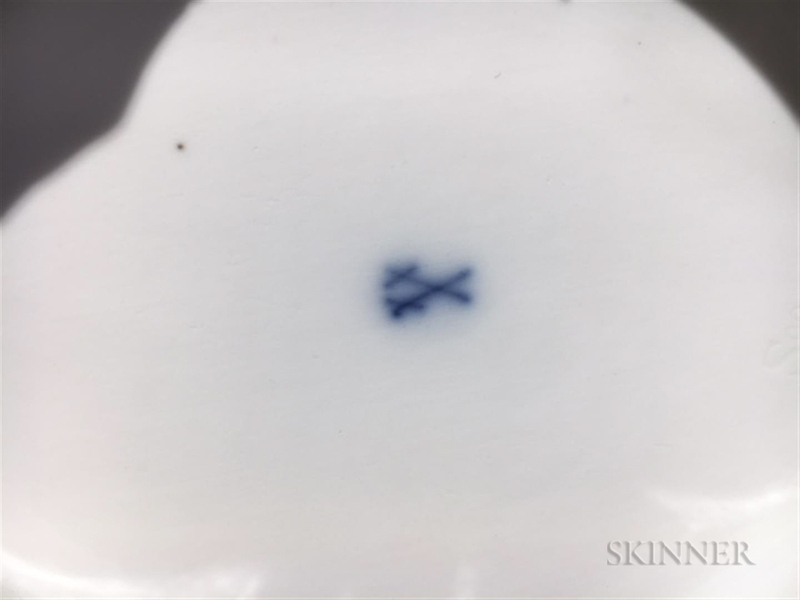 No other evidence of any cracks, chips or restorations to each.